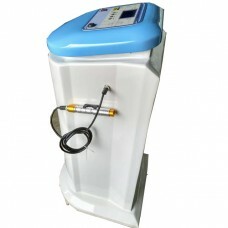 Low Level Laser (LLLT) Therapy Machine 808nm 1000mW is completely safe and has no adverse effects, it is highly effective in the treatment of musculoskeletal conditions, arthritis, sports injuries, repetitive stress injuries, wound healing, inflammation, neurological and a wide range of dermatological conditions.Laser Therapeutic Principle:When we apply the lllt directly over the injured area, the low level wavelength laser has the ability to penetrate the skin layer, especially the 808nm laser has strong penetration, which could act on the tissue 3-7cm under the skin, so we use the laser light energy to stimulate cells to function optimally, when the light-sensitive chromophores and other elements within the cell absorb energy, initiating a series of important photochemical changes such as increased production of ATP, providing the cell with the extra energy needed to accelerate the healing process and positively influence pain.Indications:Most Frequently Treated Conditions: back problems/ degenerative osteoarthritis, spinal stenosis, sciatica, disc Herniation, degenerative disc disease, myofascitisSoft Tissue & Sports Injuries: ligament, tendon, muscle tears, knee dysfunction ( meniscal, ligamentous tears), fracturesInflammatory Conditions: tendonitis ( supraspinatus/Achilles etc. 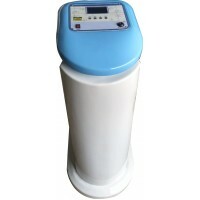 ), plantar fasciitis, rheumatoid arthritisRepetitive Stress Injuries: carpal tunnel syndrome, rotator cuff injuries, epicondylitisNeurological Conditions: neuropathies, reflex sympathetic, dystrophy, multiple sclerosis, concussion, dementia (experimental)Dermatological Conditions: eczema, dermatitis, psoriasis, herpes ( post-herpetic neuralgia), burns, acneWounds and dermal ulcers secondary to compression, trauma, atherosclerosis, venous stasis, lymphedemaOther Conditions Treatment: temporomandibular, joint dysfunction, gout, fibromyalgiaHow does the cold laser device work? 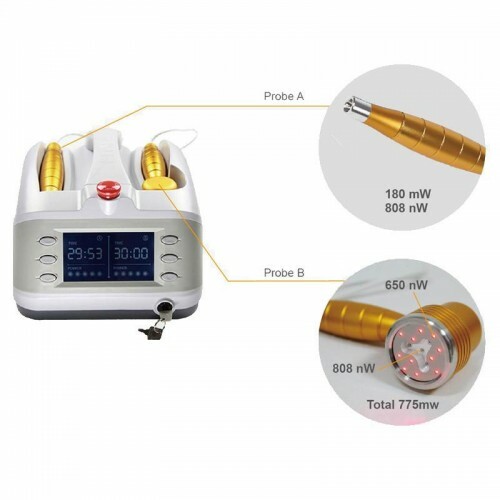 The low-level laser directly irradiates the lesion par which blood flow is decreased, or irradiate the sympathetic ganglion which dominates this range.It could supply sufficient blood and nutrition, to accelerate the metabolism and relieve the symptom. 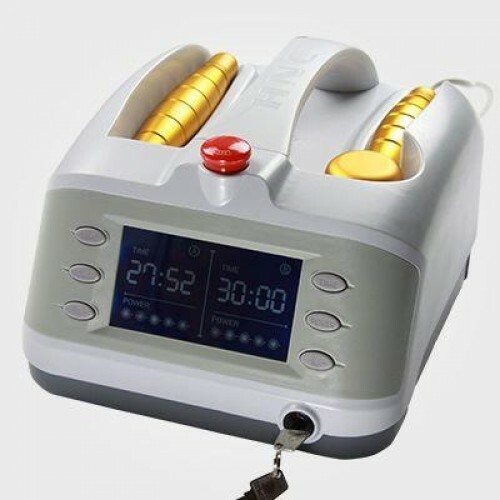 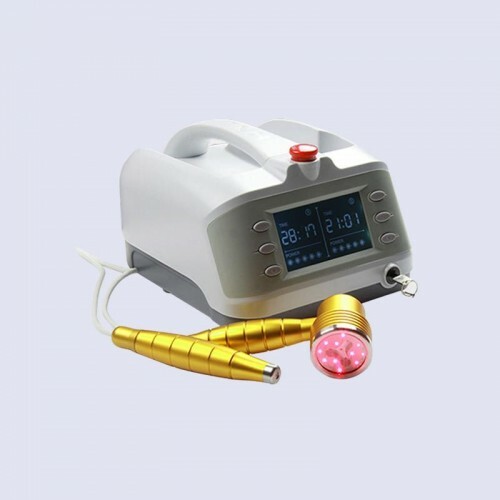 The cold laser irradiates the lesion area, to enhance the activity of phagocyte and increase the immunity, and diminish the inflammation quickly. 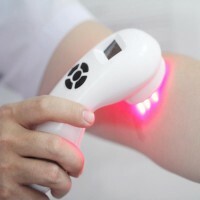 The injured party could release the substance similar to morphia after the cold laser irradiation.The irradiation also could reduce the conduction rate, power and impulse frequency to receive the pain quickly.